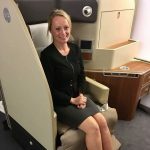 A new milestone has been achieved for TravelManagers with the arrival of three new personal travel managers (PTMs), boosting the company’s total number past 550 for the first time in its twelve-year history. Executive General Manager, Michael Gazal, says it’s taken just eighteen months to grow from 500 to 550 PTMs: an achievement which he accredits to the company’s excellence in providing support in the form of product training, technology support, accounts and business mentoring. “The strongest endorsements for our business model are the rate at which we’ve grown the number of PTMs and the fact that we have a number of long-serving PTMs who have been with us since the beginning,” he adds. The three new PTMs together have more than 50 years’ travel industry experience between them. Coupled with the intensive, three-day induction programme at the National Partnership Office (NPO) in Sydney which they have just completed, Gazal says all three are now ready to hit the ground running and are excited about the opportunities offered by their new business ventures. Caroline Rutherford, who joins TravelManagers as representative for Forestville, NSW, was impressed by the extensive network of existing PTMs, the ability for clients to access their personal travel APP and the high quality of the marketing material. Rutherford says she was initially apprehensive about working alone and building her customer base but believes that her previous experience at a business development manager has given her the confidence and skills to introduce herself to new clients. Rutherford is joined by Elaine Taylor, who is representative for Bethania, QLD. 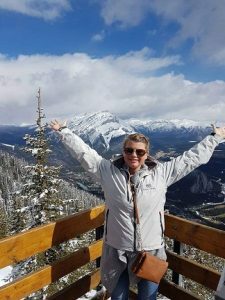 Taylor, who has spent the past two years caring for her elderly mother after twenty years in travel, says she is excited by the prospect of returning to the industry she loves and encouraged by the level of support offered by the NPO. 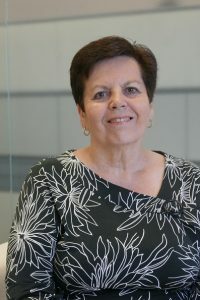 Taylor says she had been in touch with other PTMs during her brief period of retirement and was impressed by the progress they had made in their careers and the famils in which they were participating. The third new PTM is Victoria-based industry veteran Stacey Farnham, who joins TravelManagers with fourteen years of travel industry experience under her belt. As representative for Mount Duneed, Farnham says she is excited to be working for herself, using the flexibility and support offered by TravelManagers to balance building a successful business and raising her young family. Having completed their three-day induction, all three newly-minted PTMs agree that the process has been seamless, and they’re excited to be already capitalising on their new brand identity. A love of travel is something Stacey Farnham has in common with her fellow PTMs, of whom there are now more than 550.